In many cultures, the longest and shortest days of the year are a cause for celebration. The S’well Solstice Collection evokes the intense shades of the sun as it reaches its highest and lowest points in the sky, these designs are a fusion of color and contrast. 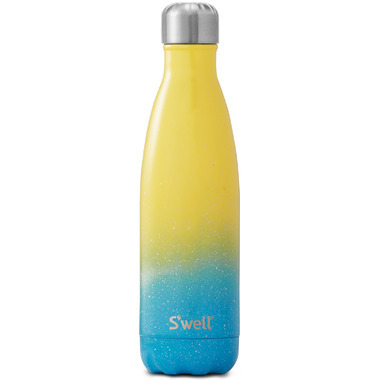 S'well water bottles are the water bottle, re-imagined! 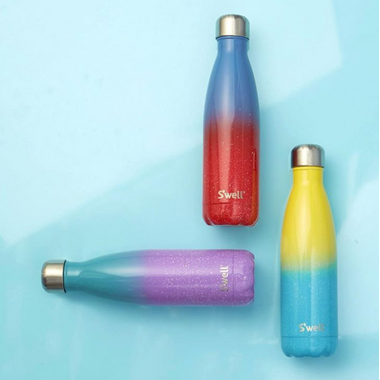 These sleek, portable hydration vessels not only provide liquids on the go, but are also a gleaming fashion accessory. All this while saving the planet from plastic waste and supporting clean water initiatives around the world. This is my first time using S'well water bottle. It's an absolute eye-opener! No leaks. Keeps my drink warm and steamy even after 8hrs!! I'm in love!